(Sallal Laahu ‘Alaiehi Wa Sallam) would place on his shoulders, who climbed on to the Lord of the Worlds during Salaat who would in turn would extend his prostration so that the prince did not fall off his back. Martyrdom is a great reward from Allaah [Subhaanuhu Wa Ta'aalaa], for which great personalities entertain a desire to attain. 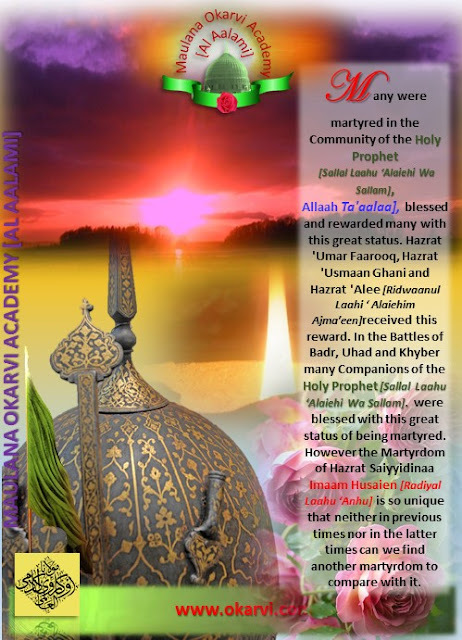 Hazrat Saiyyidinaa Imaam Hasan and Hazrat Saiyyidinaa Imaam Husaien [Radiyal laahu Anhumaa]received this perfect martyrdom from the court of the Holy Prophet [Sallal Laahu ‘Alaiehi Wa Sallam]. 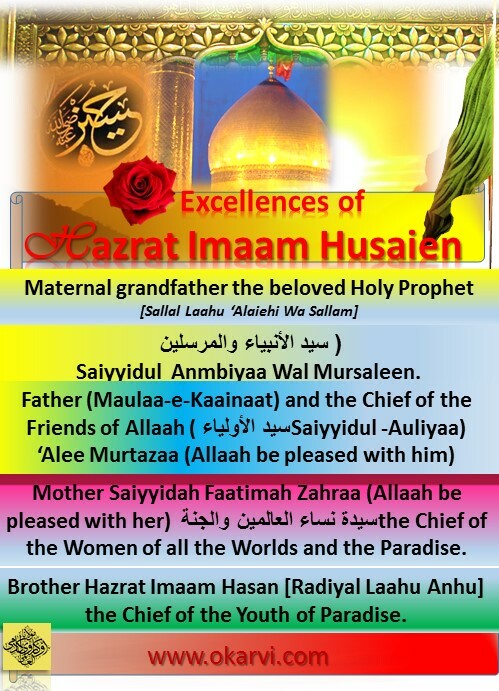 The personalities of Hazrat Imaam Hasan and Hazrat Imaam Husaien are the ‘Location of the manifestation of the perfection of the Chosen One’ [Mazhar e Kamaal e Mustafaa]. 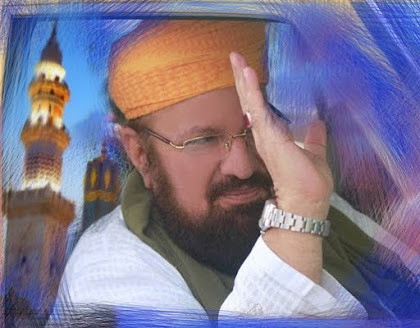 Also just as the personalities of Hazrat Imaam Hasan and Hazrat Imaam Husaien [Radiyal laahu Anhumaa] are the ‘Location of the manifestation of the perfection of the Chosen One’ [Mazhar e Kamaal e Mustafaa] it is also the ‘Location of the Beauty of the Chosen One’ [Mazhar e Jamaal e Mustafaa]. #Hadees-“Husaien is from me and I am from Husaien. ‘He who loves me, these two and their father and mother will be with me on my level Day of Judgment. “Husaien is from me and I am from Husaien.